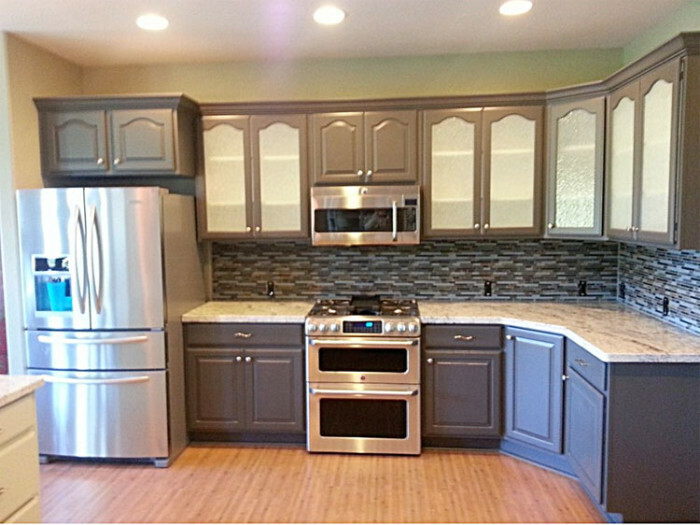 For this job the client was looking to add visual interest and contrast to her kitchen. To open up the kitchen we added glass to the top cabinets. We also added new hardware to finish the new updated look.